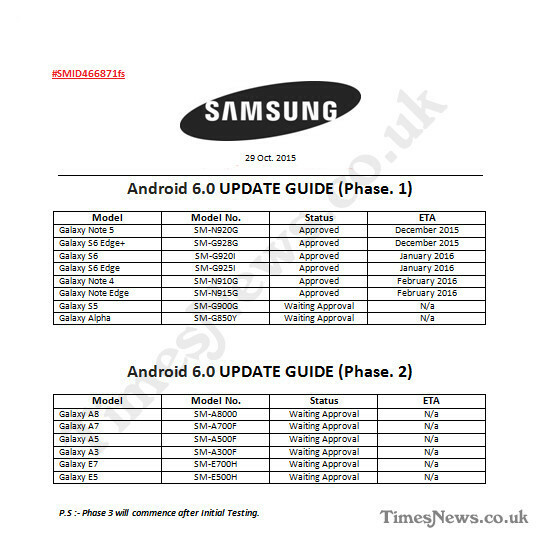 A document leaked online shows calendar and reveals the update phases to Android 6.0 Marshmallow of Samsung phones, which could begin to move to the latest mobile operating system since December. Although Google officially launched its new version of the operating system last October 5, most users don’t know when will be the time to update their smartphone as are the manufacturers that must give dates to improve terminals incorporating Android 6.0 Marshmallow. As you can see in the picture, we see the model number, the moment where the update and the date on which it will be available. Devices like the Galaxy Note 5 to the Galaxy S6 Edge+ will be the first of the range of smartphones from the Korean company to be updated in December. 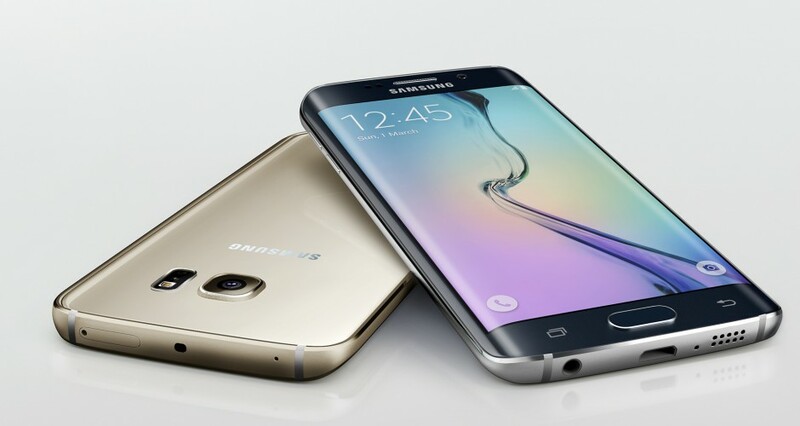 On the other hand, terminals as the S6, S6 Edge, Galaxy Note 4, Galaxy Note Edge and Galaxy S5 are also approved for updating therefore, in January 2016 would update the Galaxy S6 and S6 Edge and in February would be the Galaxy Note Edge and the Galaxy Note 4. To complete the first phase of renovation and pending approval thereof we see the Galaxy S5 and the Galaxy Alpha. Once the first phase, the second phase of renovation, which is intended to update the Galaxy A8, A7, A5, A3, E7 and E5, though as seen in the image ROMs would be in testing phase and its updates are still pending. If the leak is real, we would see as Samsung is betting on other terminals update and does not want to upgrade the flagship of last year which ranks only in the ranks of Motorola though above the poor range of ASUS updates. Still, we must wait to see if these leaks are real and confirmed that Samsung intends to update this range of terminals. Clearly, Google Nexus were the first to receive the update to Marshmallow. Over recent weeks the new version of Android has begun to reach the flagships of some brands like LG or Motorola, while other brands have already specified dates to update. The update schedule is divided into two phases, although there is no specific date for the availability of the update because it is awaiting final approval. This entry was posted in News and tagged android, leaked, Marshmallow, SAMSUNG, Samsung will be updating to Marshmallow since December according to leaked document. Bookmark the permalink.